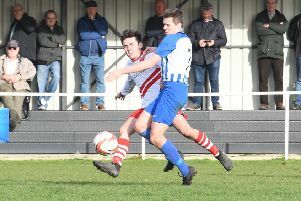 Skegness Town were beaten 4-1 at Bottesford in the Lincs Senior Trophy last night. The NCEL Premier side netted either side of the break to take a 2-0 lead before Jordan Smith gave the Lilywhites hope. But two late goals secured the win for the hosts.